The Colosseum was the greatest structure erected during the age of the Flavian emperors (69-96 AD) and arguably the finest architectural achievement in the history of the Ro man Empire. The Colosseum was originally called the Fla vian Amphitheater, but it became known as the Colosseum after a colossal statue of Nero that once stood nearby. Its origins are to be found in the desire of the Emperor Vespasian to create for the Romans a stadium of such mag nitude as to convince both them and the world of Rome’s return to unquesfioned power after the bitter civil war. Construction began in 72 or 75 AD. Vespasian chose as the site a large plot between the Caelian and Esquiline hills, near the lake of Stagnum Neronis and the GOLDEN HOUSE OF NERO. His intent was obvious to transform the old residence of the despot Nero into a public place of joy and entertainment. He succeeded admirably, and his achieve ment would be supplemented in time by the Baths of Ti tus, built in order to use up the rest of the Golden House. The work proceeded feverishly and the tale that 30,000 Jews were pressed into service persists. Yet Vespasian did not live to see its completion. Titus took up the task in his reign, but it was Domitian who completed the structure sometime around 81 AD. The official opening, however, was held on a festal day in 80. Titus presided over the ceremonies, which were followed by a prolonged gladia torial show lasting for 100 days. The Colosseum seated at least 45,000 to 55,000 people. 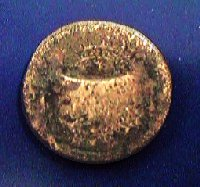 Vespasian chose an elliptical shape in honor of the amphi theater of Curio, but this one was larger. There were three principal arcades, the intervals of which were filled with arched corridors, staircases, supporting substructures and finally the seats. Travertine stone was used throughout, although some brick, pumice and concrete proved effec tive in construction. The stones came from Albulae near Tivoli. The elliptically shaped walls were 620 feet by 507 feet wide at their long and short axes, the outer walls standing 157 feet high. The arena floor stretched 290 feet by 180 feet at its two axes. The dimensions of the Colos seum have changed slightly over the years, as war and disaster took their toll. Eighty arches opened onto the stands, and the columns employed throughout repre sented the various orders-Doric, Ionic and Corinthian- while the fourth story, the top floor, was set with Corin thian pilasters, installed with iron to hold them securely in place. The seats were arranged in four different sections on the podium. The bottom seats belonged to the tribunes, sen ators and members of the Equestrian Order. The second and third sections were for the general citizenry and the lower classes, respectively. The final rows, near the upper arches, were used by the lower classes and many women. All of these public zones bore the name maeniana. Spectators in the upper seats saw clearly not only the games but were shaded by the velaria as well, awnings stretched across the exposed areas of the stadium to cover the public from the sun. The canvas and ropes were the responsibility of a large group of sailors from Misenum, stationed perma nently in Rome for this sole purpose. The stories told of the games and of the ingenious tricks used to enhance the performances and to entertain the mobs could rarely exaggerate the truth. Two of the most inter esting events were the animal spectacles and the famed staged sea battles of Titus, both requiring special architec tural devices. In the animal spectacles the cages were arranged so expertly that large groups of beasts could be led directly into the arena. Domitian added to the sublevels of the arena, putting in rooms and hinged trapdoors that al lowed for changes of scenery and the logistical require ments of the various displays. As for the sea fights, while Suetonius reports that they were held instead in the arti ficial lake of Naumachia and not in the amphitheater, Dio’s account disagrees. The Colosseum did contain drains for the production of such naval shows, although they were not installed until the reign of Domitian. 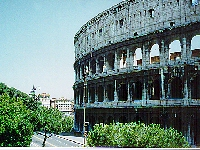 The abundance of water nearby made the filling of the Colosseum p05 sible, although architecturally stressful. The drains rou tinely became clogged, causing extensive rot in the surrounding wood. The year 248 AD saw the last recorded, sea oriented spectade called a naumachia.